1) After installing the above plugin, open the Appearance menu and click Scrollbars. Enter a Name for your feed and then open the options, as shown in the screenshot below. 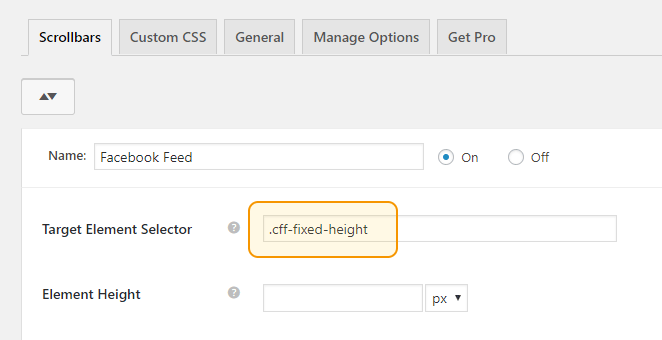 2) In the Target Element Selector setting enter .cff-fixed-height. 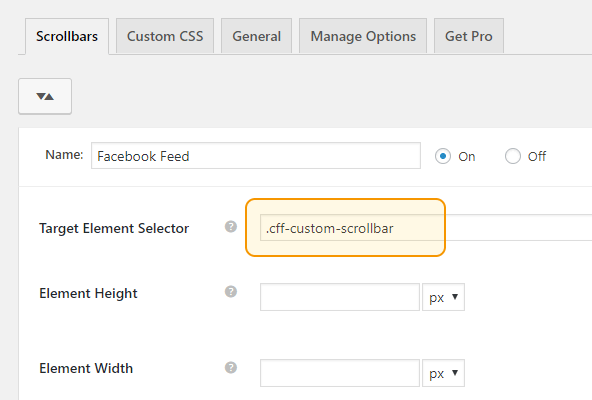 This will add a custom scrollbar to all Facebook feeds. 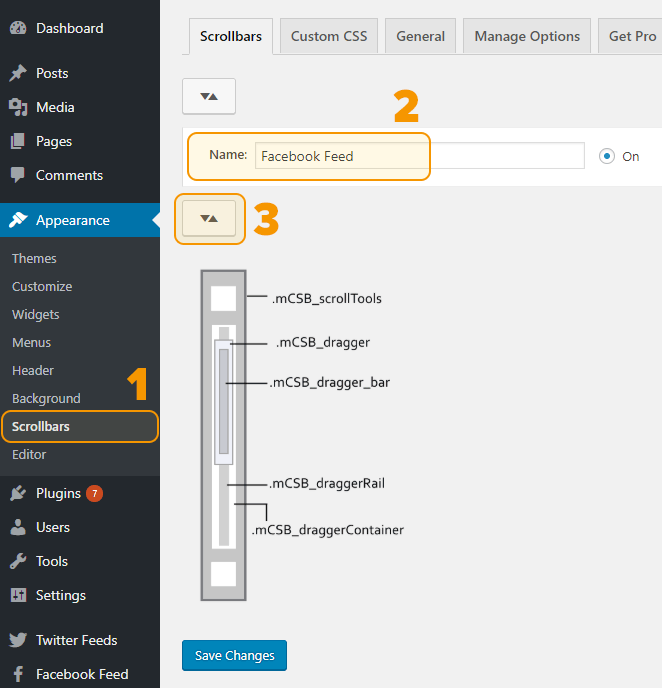 To add a scrollbar to our Instagram Feed plugin, just replace .cff-fixed-height in step 2 above with .sbi. To add a scrollbar to our Custom Twitter Feeds plugin, just replace .cff-fixed-height in step 2 above with .ctf.